This important piece is written by George Ledyard Sensei and expands upon our podcast discussion with him in April 2018. 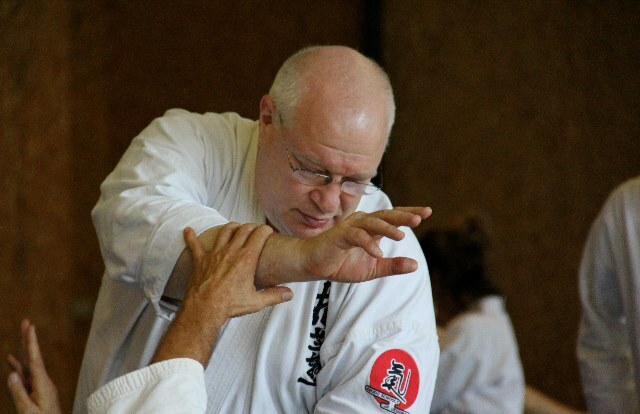 George holds the rank of 7th dan from the Aikikai and is one of the most senior instructors under Mitsugi Saotome Sensei. Topics covered also intersect with those in our editorial “Aikido: Confronting a Crisis”, from December 2017. Aikido finds itself at a crossroads in its development. 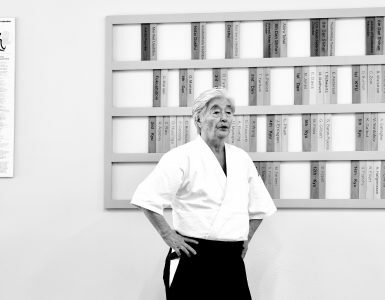 My generation of teachers rode the wave as Aikido grew and spread from its modest beginnings in Japan to a world-wide presence. But times have changed, the demographics are different, and we are presented with several serious challenges going forward. To start with, Aikido, particularly in the United States, has an aging population. While many dojos do manage to have vibrant kid’s programs, the number of young people who continue in to the adult classes is quite small as is the number who in adult life return to training. Back in the day, the bulk of any dojo’s new students came from young, twenty something males. In the case of Aikido, the boom times coincided with the end of the Vietnam War. Most of my friends had been involved in one way or another with the anti-war movement. I think the idea of a martial art that was thoughtful and had a non-violent philosophy underlying the practice had a huge appeal from that generation. But now, MMA, or mixed martial arts, dominates the martial arts scene. Brazilian jiu-jitsu is its tamer and healthier cousin. Young men these days do not seem interested in the more traditional martial arts. They want to fight. And, of course, it is impossible for any of us to compete with the fact that MMA is shown on prime-time cable seven days a week. So now we have a higher proportion of women (too sensible to want to do MMA) and older students. But they don’t come in with the same numbers that the young men used to. They have largely gone elsewhere. Consequently, Aikido (especially in the US) finds itself in a state of what I call “Aikido colony collapse”. Declining numbers are making it increasingly hard for teachers to keep the doors open. I have any number of friends who have lost their spaces and had to return to community centers to keep a group going. Couple the decline in numbers with the economic boom occurring in many of the major urban areas and you have a double whammy of declining membership fees and rapidly rising rents for dojo space. In my own case, just a few days ago my landlord, from whom I have rented space for 29 years, just raised my rent by 75%, told me I need to come up with $5000 additional security deposit, and gave me until May 22 (basically two weeks’ notice) to sign the papers. I weathered any number of economic downturns since we opened in 1989. We survived the 2008 crash, although we never fully recovered. And now, my dojo is on the edge of viability because the economy here is doing so well. Totally ironic, I would say. The aging population has an impact on training. When I started Aikido, everyone in the dojo was in peak physical condition, their bodies were young enough to absorb the impact and injuries and recover quickly, and the training was very intense and demanding, often a bit frightening, making you feel like you were right on the edge of injury. In fact minor injuries were commonplace as you’d expect when physical training is that intense. But when you have a dojo where 75% or 80% of the students are over 40. Where the vast majority of new students coming in the door are already past their physical prime… It changes the nature of the practice. The priority ends up being ensuring a safe practice which means the intensity is toned down. Even if there are young people in the dojo, when the age imbalance is so great, the training has to be geared to the majority. This means that the young practitioners are seldom, if ever, pushed to their limits the way we were. This has implications for the future of the art. Where are the senior teachers going to come from going forward? At this point, people come in to the art and can spend 30 years training but because they skipped some important experiences that should have been a part of their young training, they simply miss out on what should have been some important foundational work. When most of the students involved in an art are older, the expectations for performance in grading get adjusted, consciously or not. A 45-year-old testing for San Dan is going to have a very different set of physical capabilities then a 30-year-old. When the pool of ukes is all past their prime, the energy of the performance in testing is necessarily toned down. All of this has a direct impact on the ability of Aikido practitioners to do Aikido as a martial art and not just a moving meditation or healthful exercise. It also means that the students coming along in the pipeline, who will someday be the teachers of the future, are not getting the kind of training that past teachers did. This changes the art itself on a fundamental level. I think we can no longer depend on the individual dojo to produce the next generation of teachers. In Japan the Aikikai Hombu Dojo has always had an uchi-deshi program designed to produce professional teachers capable of teaching a certain curriculum. Aside from what many of us may think about that curriculum, they are successful in doing this. There is no such program in the US. What our organizations, and even individual senior teachers, need to do is to create a real instructor training program. They need to look around and identify committed and talented younger practitioners and create events at which they can get together and get intensive training experiences of the sort that most simply cannot get at their home dojos. I’d like to see these events run by multiple senior teachers who can provide different viewpoints on what these young trainees are working on (as opposed to the Hombu approach of a very homogenized approach where everyone ends the process looking just the same). In the so-called “Golden Age” of Hombu Dojo, instruction was provided by a host of top level teachers, none of whom looked like each other, each having a different “stylistic” approach, a different spiritual take on the art. It was an environment in which one could find one’s own Aikido, which I believe, was O-Sensei’s intention. I would like to see us design training experiences to mirror that kind of experience for our younger practitioners. We need to focus on them because they are the future of the art. For most older practitioners it is too late to turn back time and do the kind of training that they might have had when young. We need to do something about a creating a system that can turn out a real top level teacher twenty years from now. I have talked to Josh Gold at Aikido Journal about this. 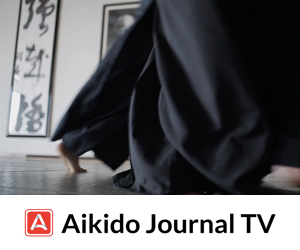 I think that an institution like Aikido Journal is the prefect host for creating some events of this type. But for it to have real impact, our organizations need to do so as well. An intensive experience once in a while is better than none, but it isn’t enough to accomplish the deep reprogramming that training is meant to do. Most of our organizations run one or more camps where everyone can get together with their senior teachers to train. Unfortunately, these events are often more social than intensive. What I envision is Shodan, Nidan, San Dan training on an invitation only basis for those students identified by the senior teachers as having the potential to go the distance. 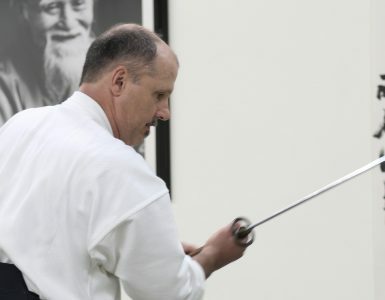 As far how to offer more intensive training for the rest of our aging Aikido population, I find that weapons work can offer much of the same set of insights if done properly. While a student might get too old for break-falls and impactive training to be sensible, work with the sword or jo can allow a very intensive practice that can take the student right to the edge. But, once again, people can’t keep sucking the life out of the training in order to ensure that it is “safe.” It should be incumbent on our teachers to offer the kind of training that will allow the students to understand how to control their weapons properly to work at an intensity level that will produce higher skills. This is not what one generally sees with most weapons work. To sum up… we mostly have shrinking dojo membership, an aging population of practitioners, not enough young folks coming in, and not enough chances for those we have to train out at their limits. We have an aging group of senior teachers who trained differently than is done now and they are starting to pass away. Are we doing what needs to be done to have a generation of future teachers ready to step into the shoes of the top seniors we have had? I do not believe that we have been doing so. But I also believe that there is still time to do so. I think we have a fifteen-year window while the uchi deshi still have a few folks left teaching, and the people who trained directly under these teachers are still available as well. After that, there will be no one left who worked under O-Sensei or a teacher trained directly by who had. If Aikido is to survive as a respected martial art, this must be addressed. I think it should be the number one focus of our Aikido community. I am also not terribly optimistic that it will be. 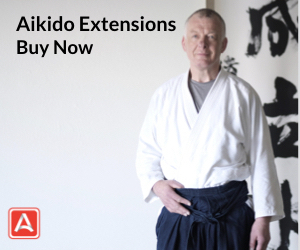 George Ledyard operates Aikido Eastside in the Seattle area and recently launched a Patreon page to support the creation of his instructional content. I’m thrilled to report that the average age of my adults program at my Hollywood dojo is 28. The oldest is 41. Yes, George, we instructors must do WHATEVER IT TAKES to get and keep 20-somethings on the mat. Otherwise, this art will die. In my case, I moved from beautiful, scenic Santa Barbara to here in Hollywood because the demographic here gave me the hope of getting young people in the door. I chose this area of Los Angeles because I was told that there was a high number of young, artistic folks living here. But it’s hard work. We MUST have youth programs (It’s irresponsible to not have one at this point.) and we MUST make it easy for millennials to come through our door. I’m hoping other dojos will join us in this effort. That is fantastic. Demographics play a very big part in this. I have a sub-urban dojo in a very affluent area just miles from Amazon, Microsoft, and Google. T-Mobile headquarters is a block away. But the young, single, student with the desire for added activities doesn’t live in the suburbs. They live in the city of Seattle because that’s where all the social life is. 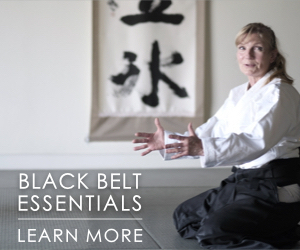 The student profile of the folks at the dojos of my friends, like Kimberly Richardson Sensei or Bruce Bookman Sensei in Seattle is quite different than that of the person who comes through my doors. People live around Bellevue because they have very demanding jobs and are married and raising families. A full time job here is considered a sixty hour a week job. Microsoft will tell you that right up front when you interview. So, the folks in my area have the resources to pay dues and seminar fees. What they do not have is time. The number one reason we lose students is a spouse who wants them to be home more. We have always had a good kids program. But we simply do not get older teens or twenty somethings coming in the doors. We will get he thirty year olds sometimes but they seldom stay. They’ll tell us how much they loved the training but they were just too busy. Just the nature of my are but I think it isn not an exception. Based on what I see when I travel around and teach, a dojo with a solid 20 something membership is a rarity. I think you succeeed because you have a youthful aspect and have managed to get beyond that critical mass in attracting young people. A new student comes in and sees people like himself or herself. A twenty something coming into my dojo sees a dojo full of older folks with big Dan ranks, no body who looks much like them. In some ways its like dojos run my men attracting female students. You can go ages with no women signing up. But if you can get a female instructor who attracts just a few women, all of a sudden you can see tons of women coming in because they see students who look like themselves. If I could just get three or four young twenty somethings, preferably a mix of men and women, I might be able to get something going. But they aren’t even coming in to check us out much less sign up and train. Some of the change I believe is for the better. While older students may not take high flying falls – acrobatics is fun to do and entertaining to watch but is an embellishment we can do without . Circus style aikido has not helped our credibility, and has weakened aikido’ s martial integrity. As Ledyard Sensei describes high quality teacher training is important to our future. I hope to make a small contribution by completing a mountain top training camp in northern New York this summer modled after O-Sensei’s remote trading compound in Iwama. Small groups of intermediate to advanced students will have the opportunity to immerse themselves for several days at a time in intensive aikido and shugyo, far from the distraction of wi-fi and smart phones. Someone said “If you build it they will come .” Like Ledyard Sensei I am skeptical – but the opportunity should be offered. But regardless – I will be there training. This is an excellent article, one that should be read by all dojo-cho; although most are already aware of the content, most have feared voicing it. I find that starting a dojo has become far more difficult than it was 40 odd years ago. Asking a half dozen good teachers to go forth has shown me this. The problem George has with his landlord is multiplied across the real estate landscape. I am among the fortunate who have a dojo at my home, a free standing building free of rent or encumbrance, yet like George, my students are aging and finding new blood is growing more difficult. Most classes are all black belts and some of my guys are near 70, yet the training is much softer than any of us really want, but most require. I’ve written fourteen novels. (Aikido Mysteries) hoping their success would inspire a new generation the way Above the Law did nearly forty years ago. Unfortunately, most of the people who write to me with comments are are all old war horses like George (and like me) who enjoy the stories and Aikido action. Nice, and appreciated, but not solving the problem. The problem is time. No one can afford any. The young are saturated with time consuming devices and commitments and I fear it will not get better. I have less hope than he does. Thank you Sensei Ledyard for your honest and heartfelt article. I am not a member of Aikikai per se, but I am non the less certified by Hombu originally under Shoji Nishio Sensei and now Koji Yoshida Sensei. I too have been very concerned, about precisely this predicament of dwindling attendance, not only here in the US but in Europe also. I recently had occasion to participate and observe a seminar in Denmark, where I began my Aikido training. The attendance was OK, but not great. I remember 80 to 100 participants when I first began. Now, we’re lucky to break 40 or 50 (with a bunch of aging 6th Dans and some enthusiastic beginners and almost no one in between!) Our last seminar here in LA had barely 35. We are moving in the wrong direction! I fully support your plan / idea of an intensive instructor training program. Often I ask my self, who will take over? Why have I come so far only to have no one to pass the baton to? It’ is disheartening, but we mustn’t lose faith in ourselves. I too feel it would behove the Art for people to interact more. Aikido has become very sectarian in such a comparatively short time. Perhaps that’s why attendance is so poor. The more diversified Aikido becomes the fewer the number of active practitioners per dojo. I don’t know. But, in any event, I support your effort to promote the development of an Instructor Level Program and if I may be of service in some way, please contact me. Your comments about Weapons Training / Sword I found quite pertinent. PS: I just remembered, a few Aikikai instructors and myself did do collective seminars together with weapons and Sword, to one another’s students, and it was a fine experience for everyone. Seeing different approaches to the art is heathy, challenging and inspiring. I hope we will continue in this vein in the future. Hi George I can completely a appreciate your article. My home dojo was with sensei jack Arnold in Burbank CA. At the time I lived in Los Angeles so I had to drive to San Diego twice a week my wife and I were the first to do the in the area. Chiba Sensei s was new and I had never seen Aikido like that before my view of Aikido was from satellite dojo that I have nothing to compare to. ALRIGHT! I was newly married and we had a newborn but hey you only live once and we loved Aikido! Chiba Sensei was the strongest I had seen Aikido applied and still maintain its smoothness and rhythm it was like magic. I’m sharing this with you because it is true we are older I have not left to many students I’m not that old but to old for Mat pounding. I teach privately in Southern California the students that come are usually related to MMA and want some kind of weapons training.and of course self-defense. In our Western world we are missing some insights that allow us to see bigger pictures of life. We have become very violent angry culture here in America. Some true Aikido would be very useful at this time but of course we need dedicated students to fulfill that as o-sensei saw it. I wish you the best in pursuing building programs I will watch and see if there’s things in my area that myself or people I’m working with can be a part of to promote and keep the principles that make budo so important. yes ! an honest look at our world ! still it keeps us fit and healthy . My teachers are 75 and 85 years old and still going strong and I am the young one at 65! (and still going strong). The question is do we do it for our own development or for other people ? The loneliness of the martial art teacher , we all know the feeling of training alone in the dojo when nobody else turns up ! Hey maybe we will all end up as the solitary figure on the beach doing old crazy man calisthenics (and that is ok). Great article and spot on as far as ‘senior’ Aikido-ka are concerned. I began training in the early 80’s and have had the good fortune to have experienced some wonderful Senseis over the years…Ikeda Sensei, Saotome Sensei, Duran Sensei, Skoss Sensei, Lau Sensei and youself. I now reside in Wakayama Japan and until recently trained in Kiimidera dojo with Takenaka Shihan a wonderful and powerful 85 year old…but alas at 73 i can no longer deal with ukemi and thus had to end my keiko of 37 years! Age has a wearing effect and that cannot be denied. Here in Japan especally in Wakayam Aikido is growing and students as young as 5 or 6 show up for training with a zeal to train hard and seriously. Kids train with Yudansha adults in mixed age classes. Then adults train then Yudansha train. Once a week hundreds train together at the budokan…the progression of up and coming teachers is strong and there are more than a few Sensei in there late 70’s 80’s and beyond who have met and trained with O’Sensei. But as you wrote these Sensei will no longer be around after a time. Thank you for your really outstanding article. Practice traditional Shito-Ryu , Shotokan and Aikido. Even 30 years ago the traditional styles had fewer students. 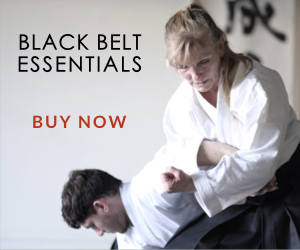 Folks wanted a 6 week black belt immediate gratification. We need to start, encourage, and support university aikido clubs. Their demographics are perfect, but they are not major income opportunities. So let’s be clear about whether we are talking about the future of aikido or about covering the rent at our dojos. Thank you for the excellent article Ledyard Sensei. I heartily agree with everything said. However, I would like to pose a different question. How can we get back to attracting younger, more energetic students? Although properly training our next generation of senior instructors is vital, if those instructors don’t have students, or if all of their students are of an age that makes it hard for them to train fully, then it won’t matter what the ability level of those future instructors is. What can we as a community do to bring people back to the Aikido mat? And how can our national organizations help us do that? I started aikido in 1991 in my early twenties and am part of (what I would term) the 90s Steven Seagal aikido boom. Whatever one may think of Seagal or his movies, his contribution to the popularity of aikido in his heyday was immense. What Seagal accomplished for aikido in the 90s is now the purview of MMA and its stars. But the popularity of any given martial art seems to wax and wane over time, as is evidenced by the fact that various martial arts have seen the limelight for a few years, such as jeet kune do, ninjutsu, aikido, BJJ, and then faded a bit in popularity. MMA will surely fade in popularity at some point as well. Aikido has a lot to offer and will, I think, survive, provided we in the aikido community continue to produce and support high quality instructors who can provide their students with training they find meaningful and valuable. Thank you, Ledyard Sensei, for this timely and important article. It is helpful to be reminded of how urgently we need to continue working to attract more students of all ages. I could not agree with you more about the importance of our children’s and teens programs as well as all our efforts to attract and provide satisfying practice for students not just in their late forties (like myself!) but also in their 20s and 30s. We owe it to the art to inspire and create a new cadre of teachers to carry this beautiful ‘medicine for a sick world’ (!) forward in the years and decades to come. Here in New Orleans we are doing our best to work in these directions, and, thankfully, having some success. Thank you for being an inspiration, both on the mats, and here as well. I think one thing that caused a surge in Aikido students were the Steven Segal movies. I think that Aikido should develop techniques and training against Karate combination punches and strikes, and against boxing in order to attract people. I have studied Aikido since 1972 and am 78 years old and am still practicing. I can still throw, but can’t roll because of 2 hip replacements. The truth the whole truth & nothing but the truth my friend!!!!! There are dojo, like Aikido in Fredericksburg, that have uchideshi program that provide training leading towards Aikido teachers. There are associations, like the Takemusu Aikido Association, that offers Fukushidoin and Shidoin instructor trainings and certifications. Yes, times are hard, but O-Sensei’s mission to make Aikido one human family is pursuasive to many.